This is a service that our clients love to use. It's just so convenient to book whenever you like, wherever you are. You can access our real-time booking system to see what's available, choose the service and time to suit yourself. 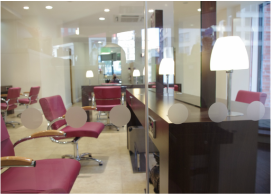 All clients who have been to the salon and registered their details with us are able to use the online booking system. If you are an existing client who has not yet given us your email just send it through to us and wait for your password to come through. Then it is very important that you read this. If you haven't had colours with us before or if you haven't had colours with us in the last 6 months it is essential that you call in for a skin test at least 48 hours before any appointment to check for allergies. ​We will not be able to colour your hair if this stage is not completed. 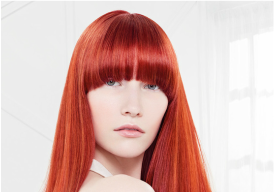 We want you to be 100% happy with your hair, we want you to be 100% satisfied with the service you get - it's what we strive for every day. If you are in any way dissatisfied please tell us straight away and we will do our best to make it right.